The roots of the Athens Office trace back to 1957 with the founding of World Wide Travel, one of North Georgia's first travel agencies. Patrick Tritt, a former World Wide Vice President, formed All Seasons Travel in 1979. In 1995 he merged it with World Wide to form All Seasons World Wide Travel and became a Carlson Wagonlit Travel franchise. Mr. Tritt sold to McCormick Travel in 2002 and because of his extensive travel experience and expertise in operating a successful travel agency, he was persuaded to stay onboard as the Athens Manager. 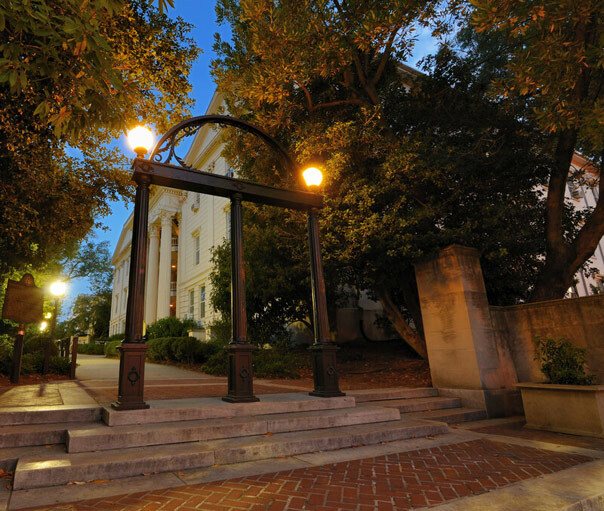 We are a University of Georgia "Authorized Travel Agency" and have satisfied the travel needs of students, faculty, alumni and their families for many years. Although having specialized in group and business travel we have expanded our field of expertise to include cruises, family travel, honeymoons and luxury travel. So email, call or pay us a visit. Our Athens staff welcomes the opportunity to apply their experience and know how to satisfy your every travel request. Congratulations, Jenny, on 30 years as a Travel Agent. That is an achievement to be very proud of. I certainly have enjoyed working with you for the past few years. Your customer service is outstanding. Thank you for taking care of my needs. We have several groups going to Europe each year. Pat has always gone above and beyond for our groups to ensure everyone has an excellent trip. We understand that this Thursday will represent 30 years of you working in the travel industry. Jenny, that is a remarkable feat. We are not sure how long we have worked with you regarding Tom's travels and our various vacation travels but it has been a long and fruitful relationship. We have always felt fortunate to put our trust in someone of your integrity and knowledge. This was particularly illustrated in our trip to China in 2007 when we missed our flight from Chicago to Beijing because of the delayed flight from Atlanta to Chicago. Our entire trip was in serious jeopardy but thanks to Jenny working after hours we were able to realize our dream of visiting China. What could easily have been a total disaster was instead a glorious trip thanks to a thoughtful and dedicated travel agent. We so appreciate your conscientiousness in dealing with all of our travel plans. It is a significant comfort to us to have trust in such a dedicated professional. For that, we give our heartfelt thanks and look forward to many more adventures organized and arranged through your hands. Pat has been our travel agent for over 30 years with both travel in the US and Europe. He does a great job and always have all of the details in order so we have hassle free travel. We have also been on trips that Pat has escorted personally. Jenny, over the years you have been an important person in my professional life. I could not have managed all the travels without your expert professional knowledge and kind assistance. Thank you for all your work you have done for me. Jenny is experienced and familiar with all facets of travel, from airline tickets to individual customized itineraries, including hotel, car, rail and sightseeing. Pat's extensive experience and background has enabled him to excel at satisfying the travel needs of his clients whether they are corporate, leisure or group.